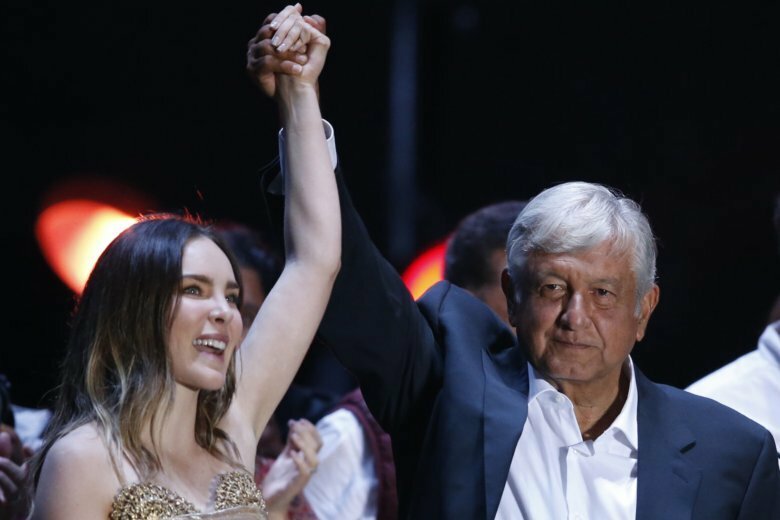 MEXICO CITY (AP) — Pop singer Belinda may have illegally interfered in Mexico’s politics because she’s a Spanish citizen and campaigned for President-elect Andres Manuel Lopez Obrador, authorities said Wednesday. A rival party filed a complaint because the singer gave out articles with Lopez Obrador campaign emblems. The singer, whose real name is Belinda Peregrin Schull, also appeared in his campaign. Technically, the government has the power to expel foreigners for such acts.